The Geek Girl Con interview on CNN GeekOut! If you’re a fan of w00tstock, you know about Liz Smith. She’s their “Dungeon Master,” (that’s “Dammit Liz” to you) clearly the strong, organized, feminine presence wrangling the show’s producers Paul & Storm, Adam Savage and Wil Wheaton. Posted on October 18, 2011 Author LizCategories BlogLeave a comment on The Geek Girl Con interview on CNN GeekOut! 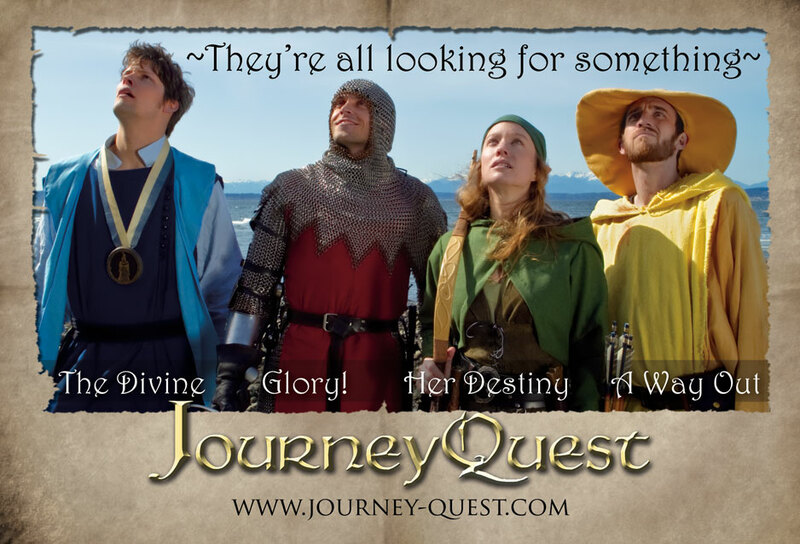 A few weeks before I was named “Dammit Liz”, I worked on a web series called JourneyQuest. This was so much fun to be a part of and I love the people I got to work with. The series was a lot of fun to make and it turned out fantastic. Check out the episodes on www.Journey-Quest.com or HULU or YouTube. Now it’s time to bring on season 2. How do you fund a project that is completely fan supported? Why, Kickstarter of course! If you like the series, check out the Kickstarter page and see what they have planned for season 2! This weekend is GeekGirlCon. I am so very excited because it means I will get to be at a con, which I love, and see so many friends (which I also love). This convention is very unique with it’s “geek girl” theme. The Geek Girl in general has had a growing presence over the past few years. We are on the rise. The success of the Geek Girls Exist panel at SDCC, the overwhelming support of The Force is with Katie, and the wildly funded Womanthology have demonstrated this growing presence of lady geeks. We have a desire for representation in this pop culture, geeky community. The list goes on. The panelist line up is especially exciting (including my friend and w00tstock alum Amy Berg). 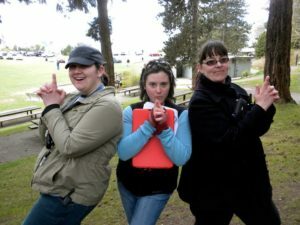 Posted on October 7, 2011 Author LizCategories BlogLeave a comment on Geek Girl Con this weekend! I was going to write a post about my time in Seattle and PAX, or the adventures I had at Dragon*Con. But in the past few days I have officially decided to move from sleepy Connecticut to Los Angeles, so that is what’s on my mind. I moved out here to Connecticut from Seattle in January. Despite having done a cross country move before, rather recently, I am feeling a little overwhelmed. (Pardon me while I work through my emotions on my blog). The scary part is that I’m going into the unknown. I am fortunate enough to have some work lined up for the next six months or so, but after that who knows. I have given up on the corporate office world and ventured out into the unknown and unpredictable world of freelance. There are many of us out there, hacking through the dense vegetation of instability, extra work, inconsistent paychecks and lack of health insurance (don’t worry Mom, I’m getting an individual plan). It’s comforting to know I’m not out there alone, and I guess that’s sort of the point. 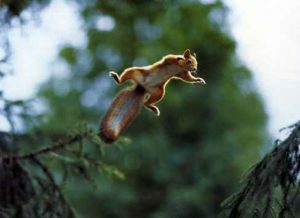 Projects don’t come randomly from the sky (well, I guess once in a while they do), they come from friends, contacts, recommendations, twitter. An aside on twitter, I would probably not be where I am today if it weren’t for social media, especially twitter. Social media is an amazing thing; I have meet new friends, keep in touch with others, and feel a sense of community with those who share common interests. This has given me the ability to stay in touch with friends that ended up recommending me for work. I have a whole theory about networking that I should write about later. So here I am, ready to embark on a journey into the world without that comforting steady paycheck and consistent work. When this opportunity in LA came up I was hesitant, then I realized if I had a reliable car and a significant savings I would hop in my car and drive across country no problem. So it wasn’t the work, the inconsistency, the unknown that scared me, it was money. That means the only thing holding me back from my dream, a new lifestyle that seems to be meant for me, is financial. This is something I can overcome, and it is worth it. I hate to talk about money, but it has been on my mind and held me back at first, so I want to let you know. I want to encourage anyone out there that is afraid to make the leap and let them know that there are ways around it. Once you have that attitude you can do anything. (With that in mind, I have added a PayPal donations page to my website if you would like to help me pursue my dreams. The link is HERE). As for what I’m working on? Well there’s [REDACTED] and [REDACTED], then the cruise and 3 weeks of [REDACTED], also FarkCon. Plus I’m in talks for potential work on a couple of projects with [REDACTED]. So there’s a lot going on. I will be updating my website more often and keep you all in the loop. Thanks to everyone who has been encouraging and supportive, it’s what I’ve needed to take on this next chapter of my life.